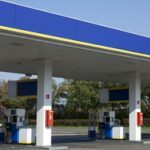 Structural Science work with Petrol forecourts continues to grow with major retail oil companies choosing to fit SSC’s lightweight manhole covers. The demanding requirements of forecourt covers which now have to be watertight and tested to EN124 standards, has brought renewed interest in our composite covers. The main advantage of these strong yet lightweight covers is that Structural Science has designed a lifting handle which reduces any strain on the forecourt attendant’s back when a cover has to be removed. This reduces the chance of any personal injury, which eliminates time off work or any claims for injury. SSC’s forecourt covers also can have a dip cap hole in the centre which allows for easy and quick inspection by forecourt operators. If you would like to know more about our forecourt covers, please get in touch. This entry was posted on Thursday, February 9th, 2017 at 10:22 am	and is filed under Lightweight composite covers. You can follow any responses to this entry through the RSS 2.0 feed. Both comments and pings are currently closed.